Joshua Sutin helps clients unravel complex legal and business issues related to employee benefit plans, tax-exempt organizations, and business tax planning. He counsels both businesses and not-for-profit organizations on the full range of tax and employee benefits issues. Qualified Retirement Plans. Joshua counsels clients regarding their qualified plans, including employee stock ownership plans (ESOPs), and advising on tax qualification of plans, fiduciary duty issues, Department of Labor ("DOL"), Internal Revenue Service ("IRS") audits, and IRS and DOL voluntary compliance programs. He also advises on the preparation and implementation of qualified defined benefit and defined compensation plans for clients. Tax-Exempt Entities. Joshua provides guidance to tax-exempt clients on everything from creating a tax-exempt organization to dissolving one, including private foundation status; reporting and disclosure; unrelated business income tax; and nonprofit corporate law compliance. He represents tax-exempt organizations with respect to Internal Revenue Code Section 403(b) plans, Section 457 plans and qualified plans for nonprofit organizations. Executive Compensation. Joshua counsels clients regarding executive compensation matters and non-qualified deferred compensation plans, including incentive and non-statutory stock option agreements, stock appreciation rights, phantom stock arrangements; SERPs or Supplemental Executive Retirement Plans, 457(f) deferred compensation plans; employment agreements; and severance arrangements. Transaction-Related Benefits Counsel. Joshua has provided guidance to corporations regarding employee benefit issues relating to corporate acquisitions, including representations and warranties of stock purchase agreements and due diligence relating to possible employee benefit plan liabilities. He advises clients on both the implementation and defense of structured tax advantaged transactions. 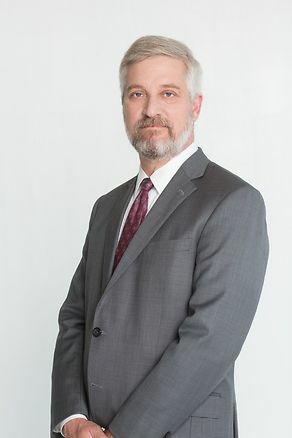 He has represented clients in both the establishment of an Employee Stock Ownership Plan (ESOP), the sale of a company to an ESOP, and the ongoing legal compliance related to ESOPs. Welfare Plan Compliance. Joshua counsels clients regarding compliance with the Patient Protection and Affordable Care Act (PPACA – also known as ACA or Healthcare Reform), implementation of Health Insurance Portability and Accountability Act (HIPAA) compliance for welfare benefit plans, COBRA, and other welfare plan laws. Privately Held Businesses. Joshua also advises clients on succession and transition planning for privately held business interests. He represents clients in retirement plan and distribution planning, including analysis of income tax, estate tax and excise tax issues.